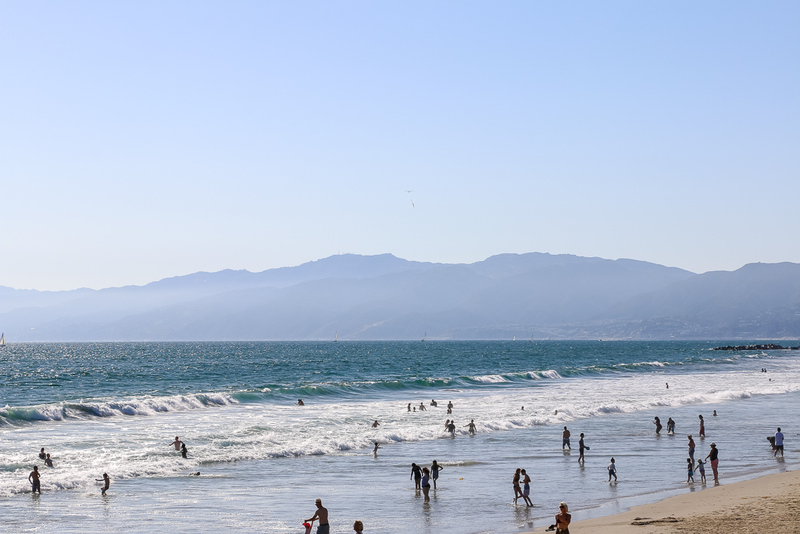 When it comes to finding a perfect beach to relax and enjoy the sun, salty ocean, and fun outdoor activities, the City of Angeles becomes an ultimate heaven on earth. With 75 miles of coastline dedicated to over 15 beaches, there is no shortage of such places for a relaxed weekend by the ocean. However, never-ending flow of people presents some challenges when choosing the right, less crowded beach in the city, especially during hot weather. I have a few tips that will greatly help easy this task and make your beach experience even more enjoyable. Make sure to get familiar with coastal area before venturing to a beach. Scanty pieces of information from social media are not enough and often might be misleading. The best advice would be to do your own unbiased research. Make acquaintances with locals and entrust them with a high honor to be your LA beaches’ guide (even if it’s only verbally). Google “Less Crowded Beaches in Los Angeles”. Your chances to find the best places to swim and sunbath are usually high. If you are more of a guide person, study your travel books to the T. Generally, they capture and present information about the busiest and not so popular beaches very well. Read as many reviews about your preferred beach as you need to get a clear picture of what to expect and avoid big surprises before you get there. This advice is especially useful when driving Highway 1 from Santa Monica toward Malibu. With so many beautiful locations, the desire to pull over rises with every sandy shore filled with people. The sparkling water, bright sun, and warm sand allure you to stop as soon as possible and dip your feet in the welcoming, blue ocean. On top of that, tanned bodies of the beach goers and adventurous surfers, boldly conquering one high wave after another, make every passing beach irresistible. However, arguments against such places are more than enough to pass on them and continue searching for less popular places to sunbath and catch the wave in Los Angeles. So, what potential problems you encounter here? The roadside beaches are typically small with limited parking spaces. You might spend more time waiting for a parking spot to become available than lying on the warm sand under big, brightly colored umbrella. Crowds! These beaches get very busy pretty fast. If you are not an early riser and prefer to go outside in late morning or afternoon, the chances to find that perfect spot right next to the ocean to spread your beach towel are small. 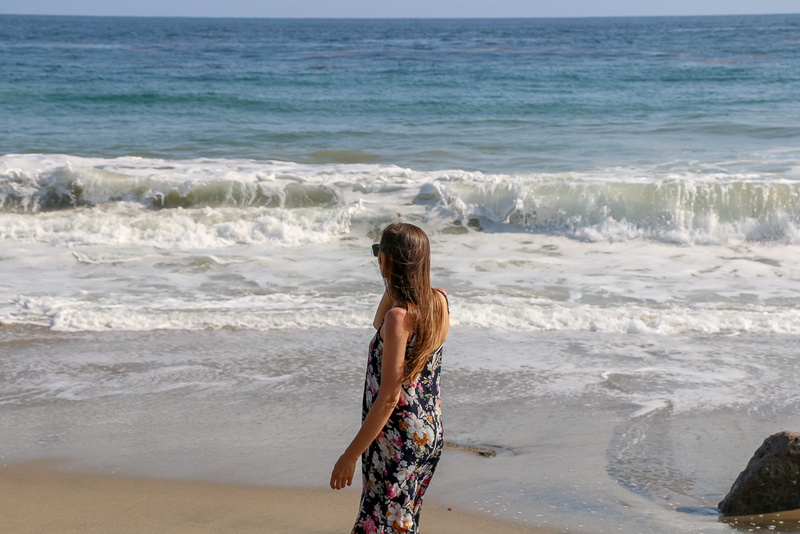 Are you still determined to find a more secluded beach in Los Angeles? Let’s drive a bit further along the coast. Ample of small gems find their haven just a short 10-15 minutes drive away from the bigger, popular destinations. Even though spending a bit more time on the road is required initially, at the end, you save at least 20 minutes, otherwise wasted in line for available parking spot. Moreover, the absence or slight presence or the people darting back and forth, when all you want is relaxing and enjoying a sunny day by the ocean, will do wonders for your wellbeing and poor nerves. Lastly, but not least, you get to share the beach with significantly less people. In some rare cases, the sandy piece of land in front of the ocean might end up completely at your disposal. I can’t move forward without leaving you with a couple of places to check out. Less crowded than other popular beaches, they will impress with their uniqueness and make any visit unforgettable. 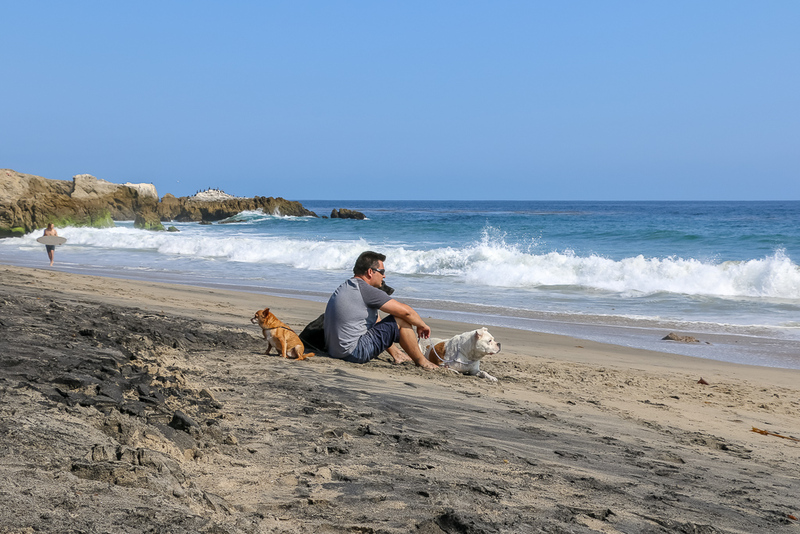 The beautiful Leo Carrillo Beach with combination of black and white sands is nestled 28 miles northwest of Santa Monica. The 1.5-mile coastal strip is quite a gem and one of the most popular places for sunset and sunrise photography. 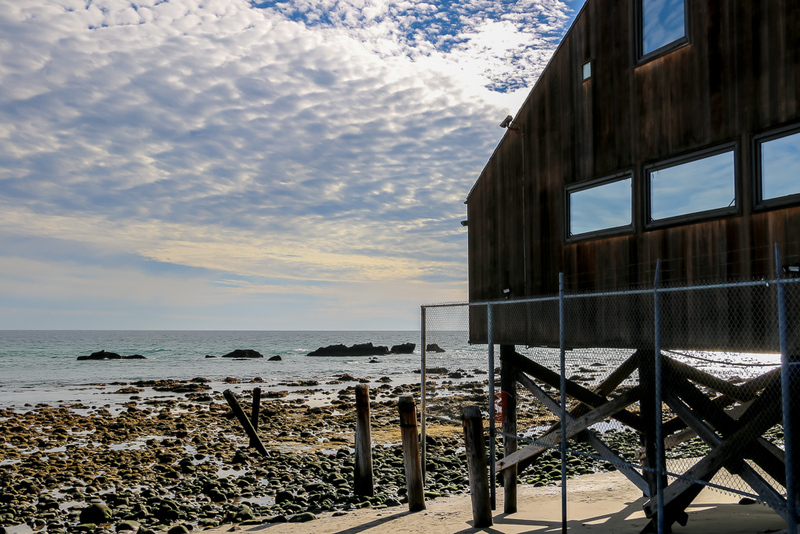 Despite its incredible tide pools, coastal caves, and reefs, the beach keeps its visitors’ rate significantly low compare to other similar places in Los Angeles. And thus makes it for a perfect place on our less-crowded-beaches-in-LA list. More popular than Leo Carrillo State Beach, El Matador State Beach smooths this flaw with its unreal features. Towering cliffs and massive rocks delight and provide shade for the alert beach goers wishing not to overexposed their skin to the sun. Huge boulder with series of small arches attracts attention of the humans and birds alike. While the latest prefer to nestle atop, the intrigued visitors walk or crawl under the inviting curves of the main attraction of the beach. 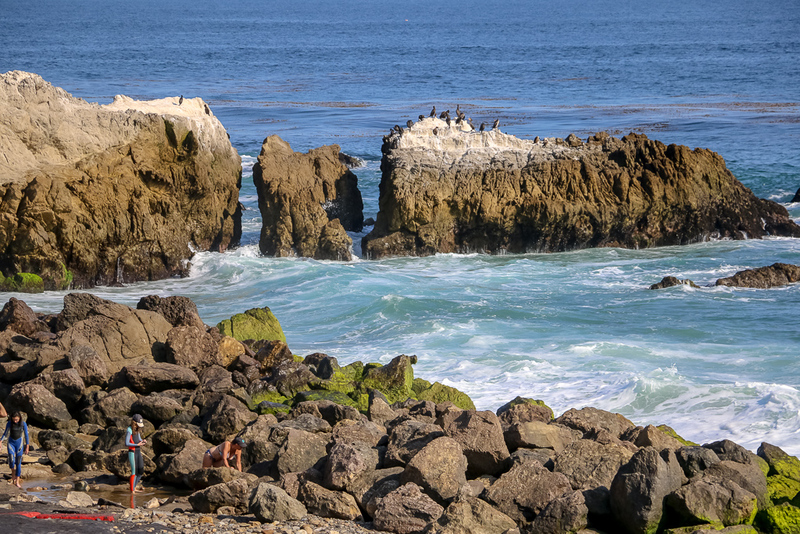 No wonder, even though El Matador State Beach doesn’t gather big crowds, it’s considered one of the coastal line places in Los Angeles you absolutely must visit. Exploring is always up to date. It’s one of the best ways to find that secluded beach that you so long for. Nothing can beat the exhilaration of discovering the coastline and venturing to the places that map and Google fail to mention. Don’t be resistant to pulling over and exploring any beach that catches your eye. Enjoy the great choices that the shoreline has to offer. You will find the most beautiful and less crowded beaches you’ve ever dreamt to see in Los Angeles in no time. If up to this point less crowded beaches in Los Angles seemed like mission impossible, it’s a perfect time to change it. Go off the beaten path, avoid the most popular destinations, ask questions and search for the hidden gems near you. 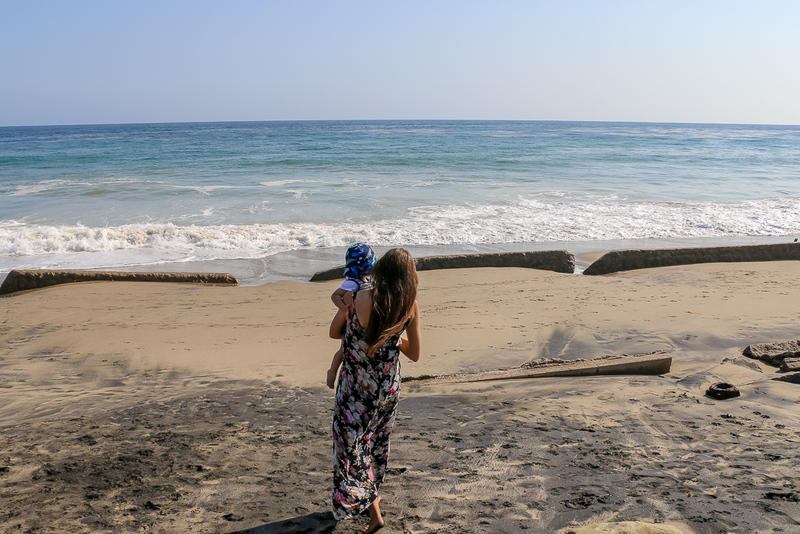 Explore along the way and enjoy your perfect secluded beach in Los Angeles.